Collect every single color! Have a pair of these Fashionista Readers in every purse, in every room, in the car, at work. 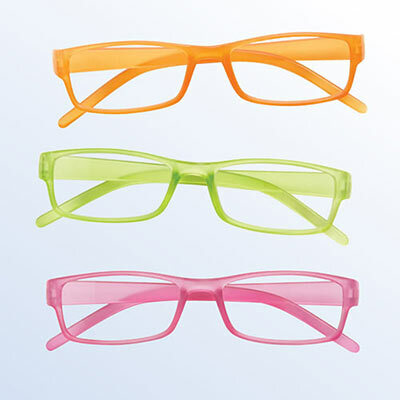 Sturdy plastic readers come in a color-matched protective pouch. Imported. 5¼"w. Hurry! Quantities are limited!